In the morning arrive at Jaipur airport or railway station. Upon arrival in Jaipur you will be met by our representative and drive to Pushkar. Pushkar is one of the most famous and important pilgrimage cities for Hindus. Upon arrival, you will be transferred to the hotel in Pushkar. Rest of the day at leisure. Today we have full day sightseeing in Pushkar. In the morning we visit the God Brahma temple. This is the only one temple of God Brahma which is situated in Pushkar. After visiting the temple we visit the Pushkar Lake. The Pushkar Lake is the other main tourist attraction of Pushkar. This lake is believed to have been created by God Brahma himself. There are about temples and 52 Ghats which are located on the banks of the Pushkar Lake. In the evening we visit the local bazaars of Pushkar. After having breakfast drive to Udaipur. 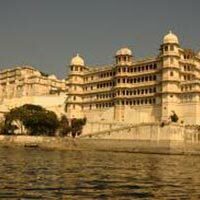 Udaipur is called the romantic city of Rajasthan. This city is built around shimmering, clear, blue water lakes which reflect the green hills of the Aravali ranges. Arrive in Udaipur by the evening. Rest of the day at leisure. Today we visit Udaipur, also known as the city of sunrise. We start our sightseeing with the visit of Sahelion-Ki-Bari. This Garden of the Maids of Honors is well laid out with extensive lawns and shady walks. After the visit of Garden of Maids we visit a Museum of folk art. This museum has a rich collection of Folk dresses, ornaments, puppets, masks, dolls, folk musical instruments and paintings on display. After a break we visit the City Palace, the biggest Palace in India, where 4 generations of Maharajas added their contribution, is so carefully planned and integrated with the original buildings that it is difficult to believe that it was not conceived as a whole. The museum of the palace includes the beautiful peacock mosaic and miniature wall paintings of Indian mythology. Today we have an opportunity to visit a traditional painting school and see the famous miniature paintings done. In the evening we have a Boat ride on the lake Pichola. 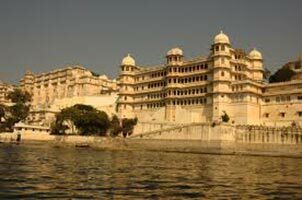 The famous Lake Palace of Udaipur was the summer residence of the former rulers. The James bond Film Octopuses was shot here and made this palace more known in the west. After having breakfast drive back to Jaipur. In Evening Reach Jaipur Drop up at Jaipur airport or railway station for the onwards journey. Tour end with unforgettable sweet memories.